Please follow these instructions for an accurate reading of height and distance. Step 0: After entering your height follow these steps to measure distance and then height. 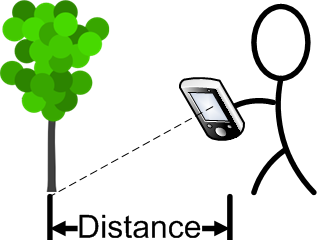 Step1: While standing, keep the phone at the eye level and point to the bottom of the object whose height you want to measure. 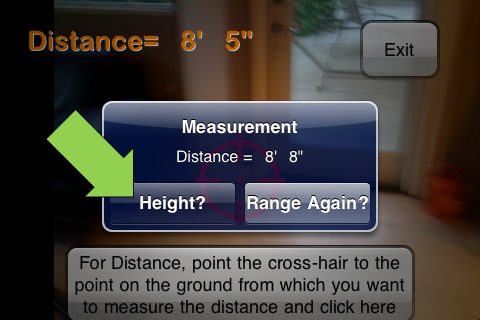 Note: Even if you just want to measure the height, you need to first measure the distance by pointing to the ground. 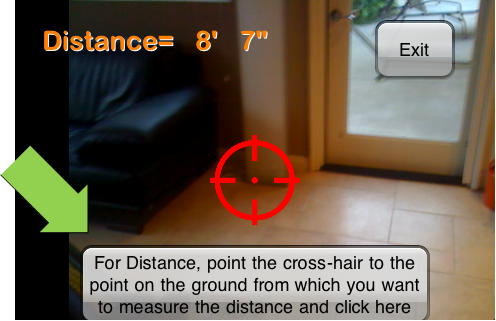 Step 2: While pointing to the ground hit the big button at the bottom of the screen. A window pops up that show the distance. Step 3. 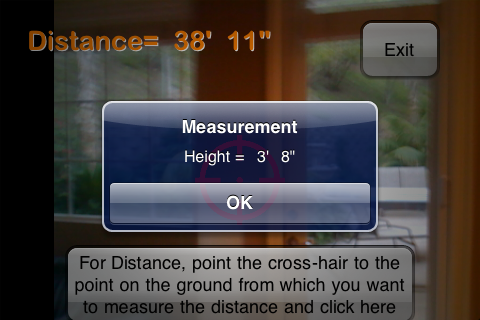 If you want to measure the height, select height from this pop up window. 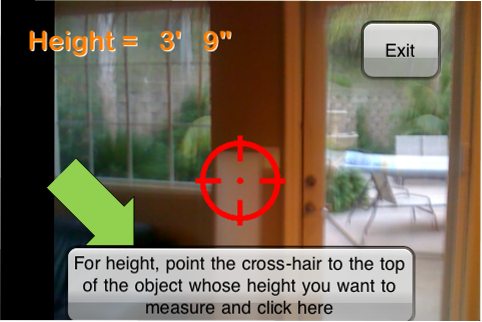 Step 4: Without changing the height of the phone, point to the top of the object that you want to measure and while still pointing to the top of the object hit the big botton at the bottom of the screen. this causes another window pop up that shows you the height of the object.